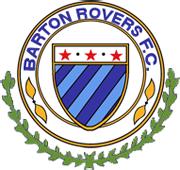 Barton Rovers FC is a semi-professional football club from the large village of Barton-le-Clay, located a few miles north east of Luton. 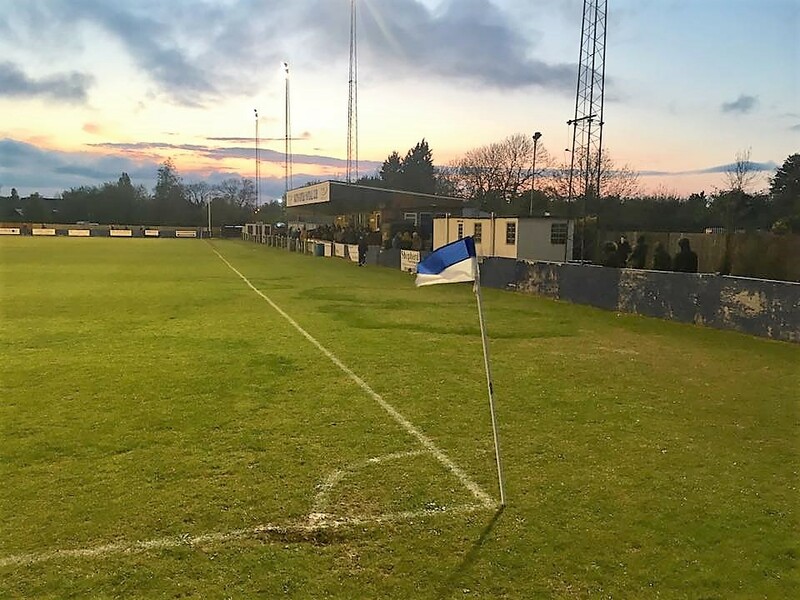 The club was formed in 1898, playing village football until World War II. 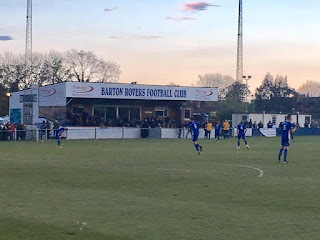 Rovers joined the Luton & District League for the 1946–47 season, where they remained until becoming members of the Spartan South Midlands League in 1954. Rovers were placed in Division Two, going on to win the league title and promotion at the first attempt. 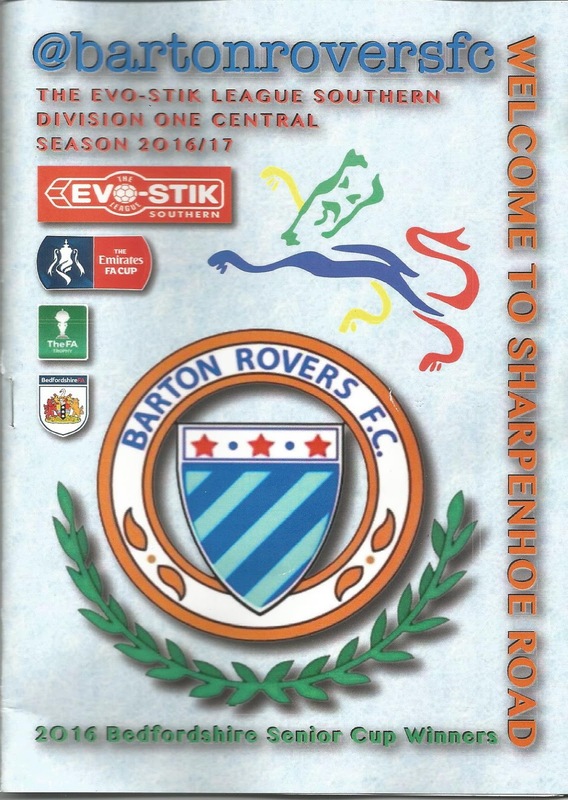 The fine run continued in 1955-56 as the Division One title was sealed as Barton progressed to the Premier Division. In 1962-63 the club suffered a relegation, but they regained their status in 1964-65 with another championship. Rovers finished as league runners-up in 1967-68 before sealing the Premier League title in 1970-71. The club went on to become Spartan South Midlands League champions for three consecutive seasons as they celebrated again in 1971-72 and 1972-73. Further Premier League titles followed in 1974-75 and 1975-76, before Barton had a couple of fantastic seasons competing in the FA Vase. In 1976-77 a run which saw victories against Watlington Town, Hazells of Aylesbury, Ampthill Town, Tividale, Buckingham Town and Gosport Borough took the team to the semi-finals where they were defeated by Sheffield. 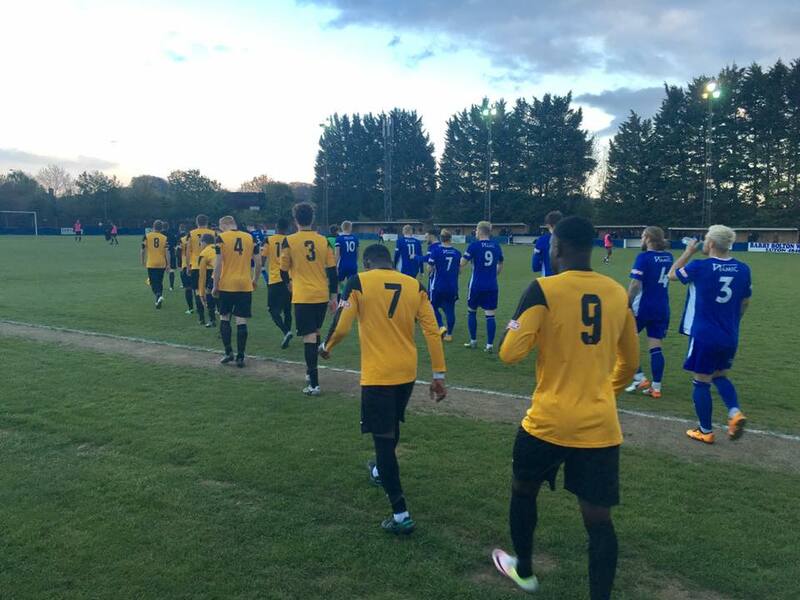 Consolation came by way of a sixth South Midlands League title win. The league championship was retained the following season as Rovers went on a run all the way to the final of the FA Vase by courtesy of wins against Leyton Wingate, Rushden Town, Kempston Rovers, Billericay Town, Haringey Borough and Hungerford Town. In the 1978 final at Wembley, Rovers went down 2-1 with a young Kevin Blackwell in goal. 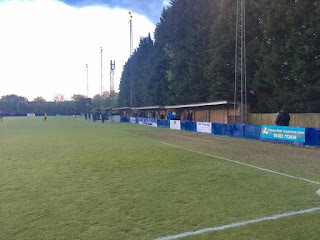 The club built on their status by winning a fifth successive league title before becoming members of the Division Two of the Isthmian League in 1979-80. The 1981-82 season saw yet another excellent FA Vase run. 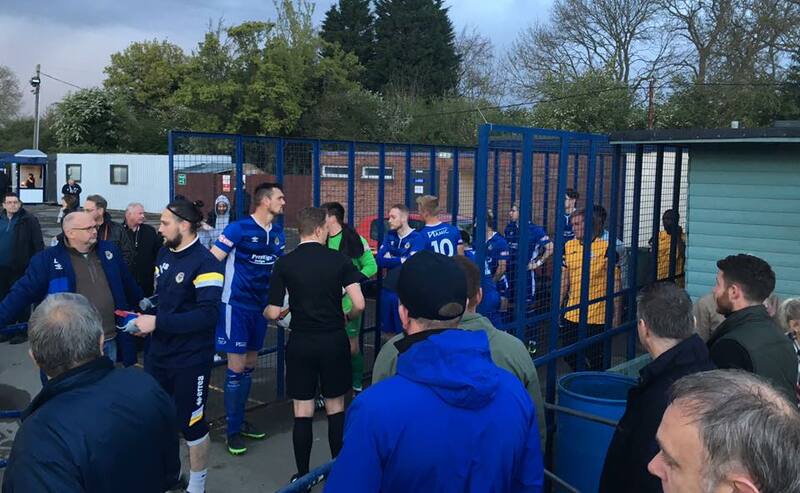 Wins against Stansted, Woodford Town, Ford United, Leyton Wingate, Knowle and Irthlingborough Diamonds set up a semi-final tie with Rainworth Miners Welfare who went through on aggregate. In 1984-85 the club were placed in Division Two North after league organisation before they returned to a revamped Division Two in 1991-92. Rovers finished as runners-up in 1994-95; winning promotion to Division One. The 2000-01 campaign saw Rovers relegated to Division Two. When the league was reorganised for the 2002-03 season, the club was placed in Division One North. 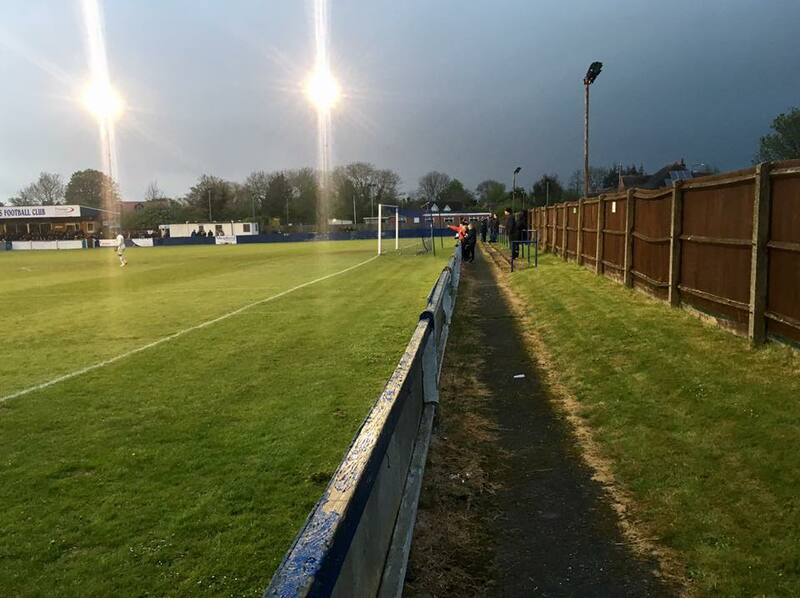 Non-league football was restructured in the summer of 2004, with Barton becoming members of Division One East of the Southern League. 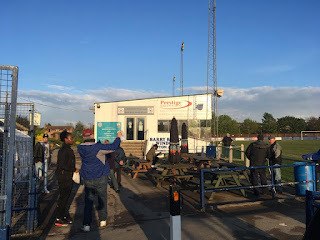 Following a further league re-organisation Rovers were placed in Division One Midlands, which was renamed Division One Central for the 2010-11 campaign. 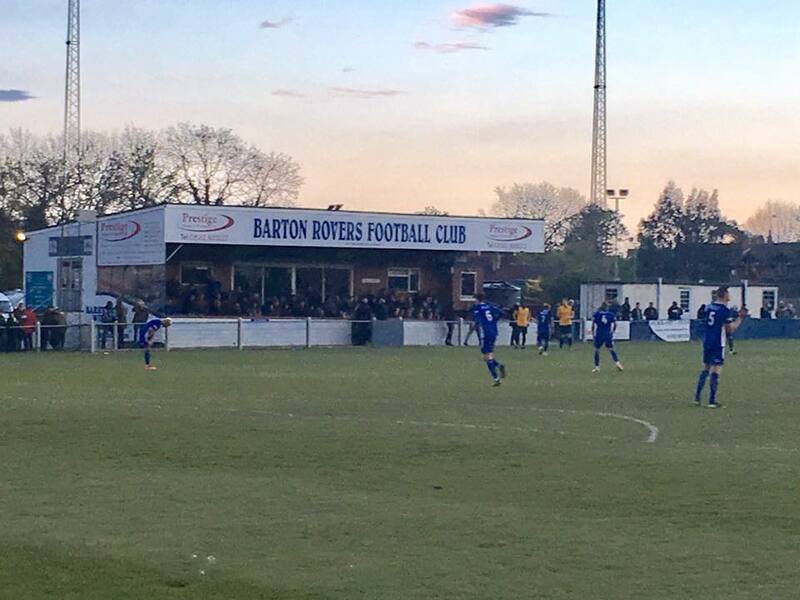 Barton reached the play-offs in 2014-15 where they defeated Royston Town before missing out on promotion after defeat to Bedworth United. In 2016-17 the team, led by manager Jimmy Gray, once again reached the play offs where they defeated Marlow at Sharpenhoe Road before losing the final away to Farnborough, before forward Connor Calcutt departed to their final victors. It was a midweek of play-offs for my pal Tony Foster and I. We hadn’t really planned to have gone to Greenwich Borough v Corinthian Casuals until a late stage the evening before and the same occurred with Barton. An average morning work and a text did the business! Tony picked me up at Stanmore station just after 6pm in case of heavy traffic up the M1. 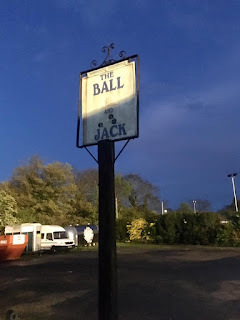 As it worked out we had a decent run before pulling off at junction 12 and heading through some lovely countryside to the pretty village of Barton-le-Clay. To enter the ground we went past some playing fields before pulling into the car park next to the ground. We were immediately impressed by the friendly welcome. 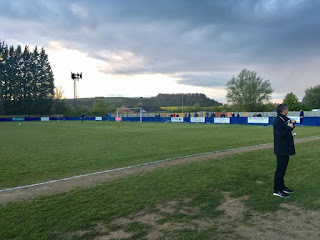 The old chap directing cars saw my Scarborough Athletic jacket and we were soon talking about Kevin Blackwell. 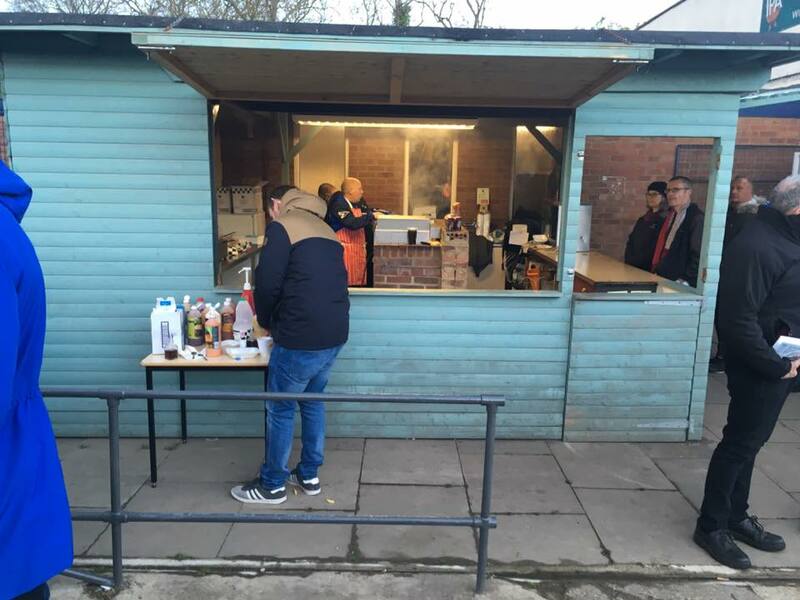 Admission into the ground was £10 with the programme an additional £2. Tony gave this the thumbs up after a very poor effort for the same price at Greenwich the night before. We were very early so we headed to the bar where a pint of hand pulled Greene King IPA cost me £3.50. Despite us being into the cricket season, the weather was pretty bleak. There was a fair nip in the air and dark clouds were abundant. We waited until the teams had gone past before we headed over to the far side. 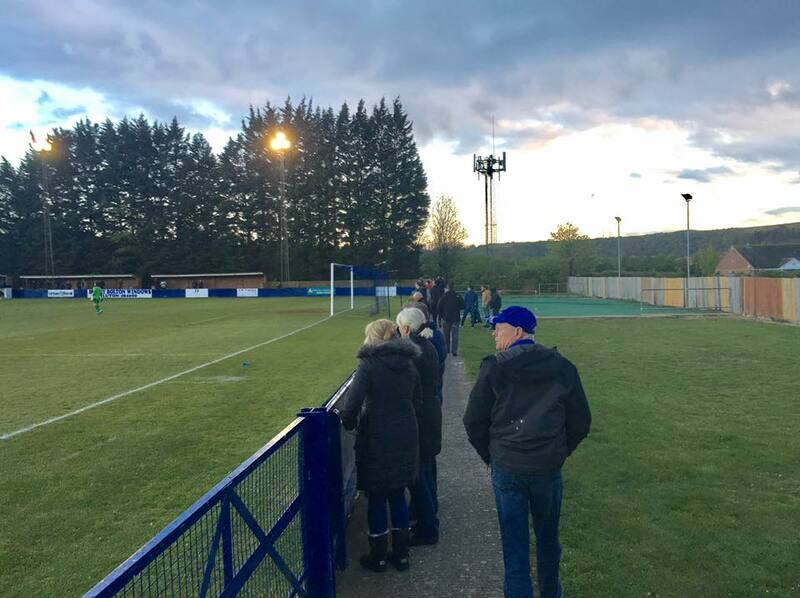 The Sharpenhoe Road ground had a large sloping surface with plenty of turf between the touchline and side stands. 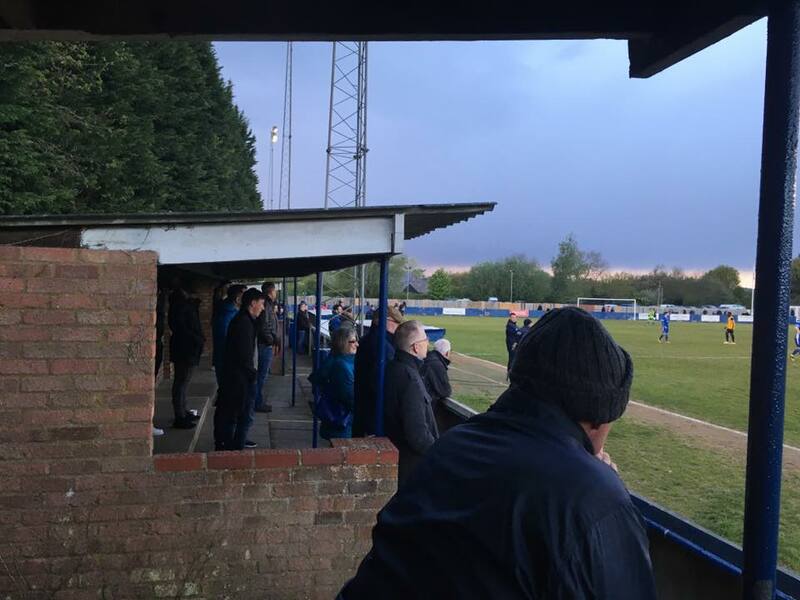 A small main Stand had a glassed area at the rear for corporate clients, while opposite were several low covered terraces. That’s where we took up our position. Both ends were open standing. Barton had the better of the early stages as a heavy shower landed on the hard bobbly pitch, which wasn’t helping fluid football. Former Wealdstone forward Connor Calcutt looked very useful for the home side. 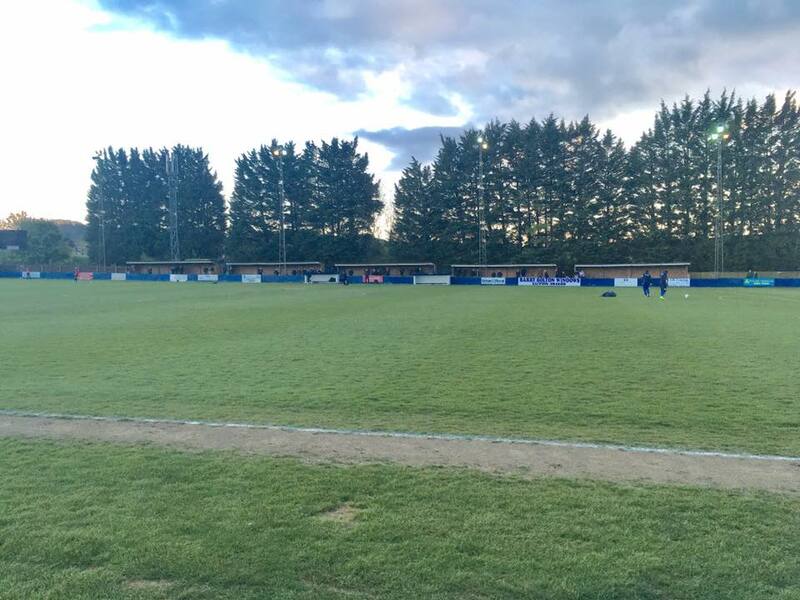 Simon Grant was forced into a fine save for Marlow from a Jimmy Hartley shot in the early exchanges. Kyle Forster in the home net responded in like with a top stop from an effort by Marcus Mealing. A very tight first half ended at 0-0. During the break we queued up at the excellently priced snack bar who were well organised and giving a cracking example of how to serve a large crowd in no time. I bought a Bovril and a pie for £4. It was that type of weather. Marlow were the better side kicking up the slope at the start of the second half. The pace of Kameron English was causing havoc. 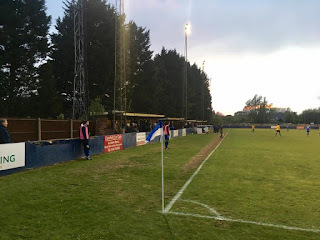 Six minutes in he beat his man and put in a superb cross which Chris Ovenden somehow managed to head wide when it looked easier to score. Shortly after Kelvin Bossman came close, but that was about it on an attacking front from Marlow. They would be made to pay for missing their chances. 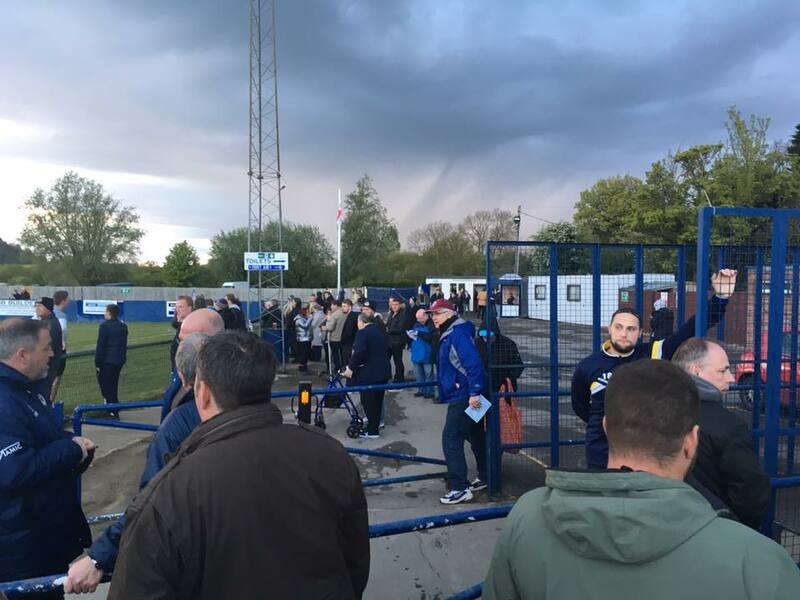 On seventy one minutes Rovers went ahead. Grant punched weakly at a cross. The ball eventually fell to substitute Danny Watson, who forced in from outside the box. We were watching from the other side of the pitch in the second period as the threat of rain had passed. Grant had to pull off a superb save, while Bossman cleared off the line in the follow up as Barton looked to get a decisive second goal. 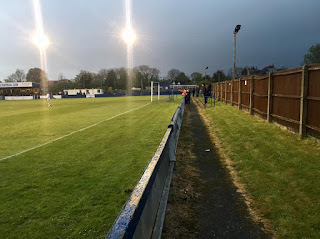 Ovenden had an effort on goal as Marlow tried to find a way back into the match, before victory was sealed with just a couple of minutes remaining. 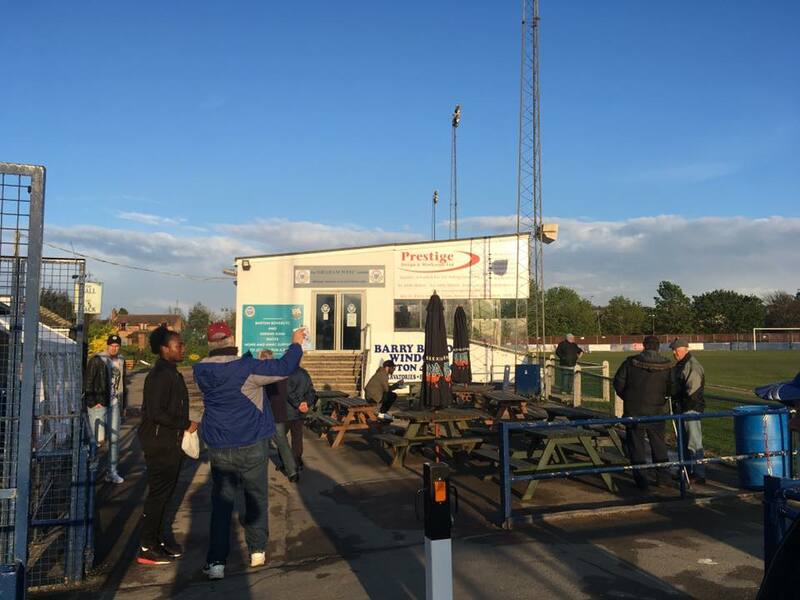 Poor judgement from Grant saw him leaving his area; only for a Rovers player to beat him to the ball before crossing for Calcutt to head into an empty net and send his team to the final the following Bank Holiday Monday away to Farnborough. We headed back via Luton and the M1. We were both glad we’d made the effort. Barton seemed a friendly club even if the match hadn’t been the best.